LONDON, England -- The US Treasury has told a BBC investigation that it considers Russian President Vladimir Putin to be corrupt. 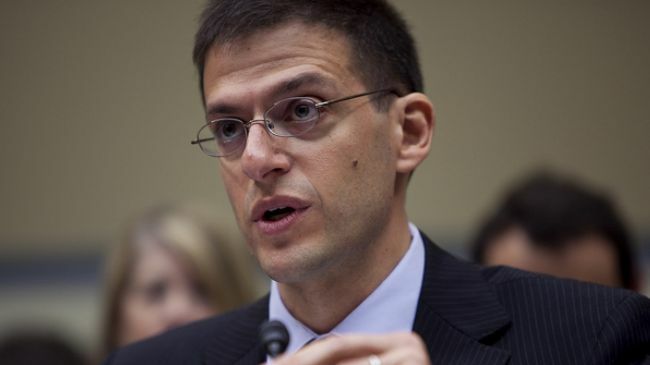 The US Treasury's Adam Szubin speaks of a "picture of corruption". The US government has already imposed sanctions on Putin's aides, but it is thought to be the first time it has directly accused him of corruption. Last week a UK public inquiry said Putin had "probably" approved the murder of ex-spy Alexander Litvinenko. Litvinenko, a former Russian Federal Security Service (FSB) agent and fierce critic of Putin, was poisoned in London with radioactive polonium in 2006. Adam Szubin, who oversees US Treasury sanctions, has told BBC Panorama that the Russian president is corrupt and that the US government has known this for "many, many years". The US government imposed sanctions against a number of Kremlin insiders in 2014 and stated that Vladimir Putin had secret investments in the energy sector. However, the Americans did not directly accuse him of corruption at the time. The sanctions - later expanded to include more individuals and organisations - coincided with similar EU measures against Russia. The trigger for them was Russia's annexation of Crimea, during political turmoil in Ukraine. Mr Szubin would not comment on a secret CIA report from 2007 that put Putin's wealth at around $40 billion (£28 billion). But he said the Russian president had been amassing secret wealth. The Kremlin denies such allegations. "It's simply rubbish. They just picked all of it out of someone's nose and smeared it across their little papers." Dmitry Skarga, who used to run the state shipping company Sovcomflot, says he oversaw the transfer of a $35 million yacht to Putin. Mr Skarga says the 57m-long Olympia was a gift from Britain's most famous Russian - the Chelsea football club owner Roman Abramovich. "It's a fact that Abramovich, through his employee, transferred a yacht to Putin," he said. "I was on board of this yacht at the end of March 2002, in Amsterdam. And there was a representative of Abramovich… He said that Roman is the owner of this yacht." Mr Skarga says the Olympia was then given to the Russian president via an offshore company. He then oversaw the management of the yacht for Vladimir Putin and prepared reports on the boat's running costs. Panorama asked Abramovich about the yacht. His lawyers dismissed claims about him as speculation and rumor.